Gartner’s latest report shows that the revival of the smartphone market began during the first quarter of 2018 after the first ever setback. 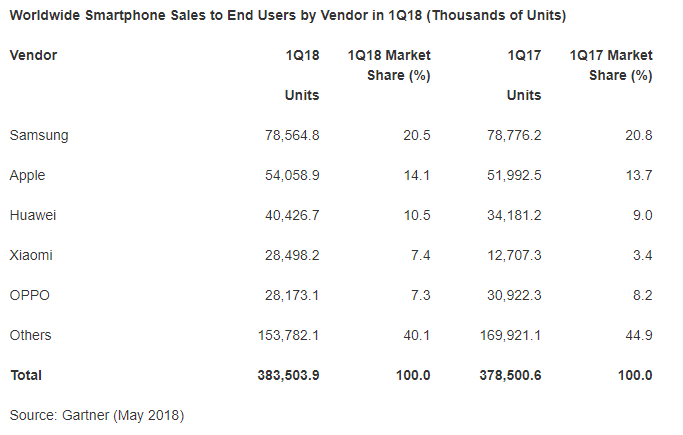 During the first three months of 2018, smartphone sales increased 1.3 percent year-on-year to 383 million, which represents 84 percent of the total 455 million smartphone shipments. 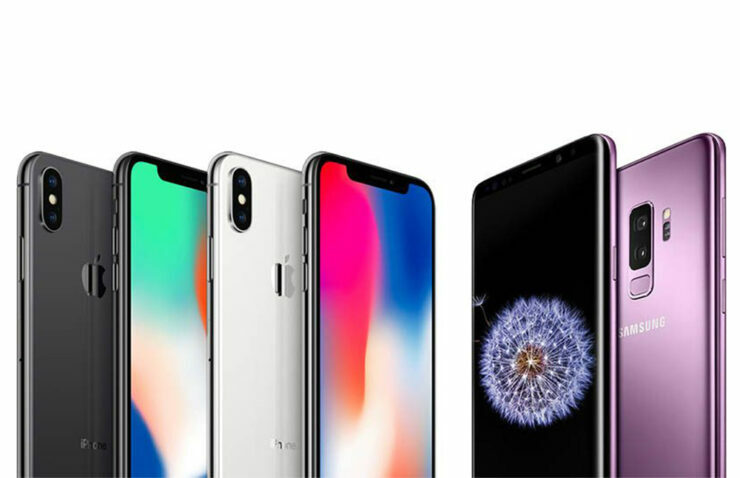 The high-end market segment was affected because of the lower rates of an upgrade, while better quality affordable smartphones pumped growth in the mid-range market. Demand for high-end smartphones remained low because consumers weren’t lured by the marginal incremental benefits. Even though the smartphone market remained bullish, Samsung remained the largest smartphone maker in the world with 78.6 million sales and a market share of 20.5 percent. Apple’s market share increased to 14.1 percent with 55 million shipments. However, Gartner thinks there could be issues if market trends remained the same. Although iPhone X’s demand was greater than that of the iPhone 8 and iPhone 8 Plus, it wasn’t enough to make a significant number of people upgrade their smartphones, though it was the best-selling smartphone for Q1 2018. This resulted in a growth that was slower than expected in the first quarter of 2018. Apple will have to significantly improve the experience of the upcoming iPhone lineup to make people replace their smartphones and drive growth as a result. The iPhone 9, for example, has been rumored to come in several different and vivid color models to boost sales. Some Chinese smartphone makers struggled on their home turf China due to market saturation, but Xiaomi and Huawei were unscathed because of their international success. Huawei remained the third largest smartphone maker with 40 million shipments and a 10.5 percent market share. The success is largely attributed to the Huawei P20 and P20 Pro. Xiaoami saw a whopping 124 percent growth with 28.5 million sales and a market share of 7.4 percent. Xiaomi is all set to release its smartphone family in the UK after an agreement with Three’s parent CK Hutchison. This would boost growth for the manufacturer even more. As for Huawei, its growth depends on increasing its market share in the Asia/Pacific region while taking care of significant issues in the U.S. market.